Sell Blackberry Z10 | How Much is Blackberry Z10 Worth? 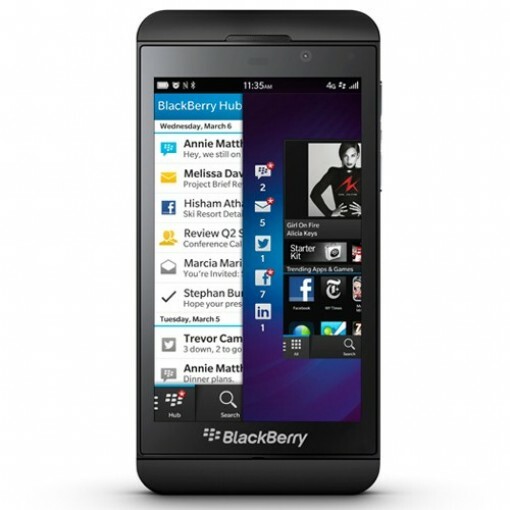 Select the information above in order to receive an accurate quote for the Blackberry Z10 you want to sell. Click sell item if you agree with the price that is displayed. GreenBuyback purchases cell phones, tablets, and laptops at the highest prices in the industry! GreenBuyback pays cash for your old cell phones, tablets, and laptops. When you sell your cell phone, tablet, or laptop to GreenBuyback you will never have to pay shipping. GreenBuyback is dedicated to maximizing the cash back to our customers. Sell your Blackberry Z10 for cash today! Originally launched in later 2013, the Blackbery Z10 was a serious aesthetic upgrade to the classic Blackberry body. The body was updated to be sleek and metallic. The camera received an upgrade as well to appeal to your inner photographer. Selling a Blackberry Z10 is so easy with GreenBuyback; send your Blackberry Z10 to GreenBuyback with free shipping and you’ll get cash sent to you fast! RIM is a master of email, so dedicated Blackberry fans will cheer over same great OS, with a new look and feel. The phone looks and feels like it’s rivals the iPhone and Android, but it is in a class all by itself. GreenBuyback will buy your Blackberry Z10 in any condition, even broken! Simply head to GreenBuyback to get a quote, send your Blackberry Z10 in, and get cash quick!